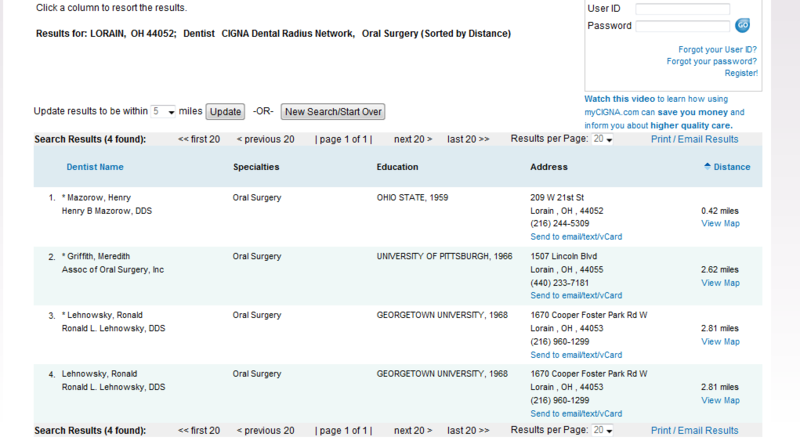 Marissa Kingery Death– Ohio Dental Board Destroys Records After 5 Years!! ELYRIA — Dr. Henry Mazorow, the 80-year-old oral surgeon under investigation in connection with the death of 13-year-old patient Marissa Kingery, has agreed to stop practicing — at least on a temporary basis, according to a representative of the Ohio State Dental Board. Mazorow has not seen patients since the medical emergency involving Marissa three weeks ago, according to Lili C. Reitz, the dental board’s executive director. “He’s agreed not to see patients for the time being,” Reitz said. Reitz said that the board had been informed of the earlier death of 57-year-old Rosemary T. Johnson, who died Oct. 21, 1997, while having six teeth removed by Mazorow. She said no disciplinary action was taken against Mazorow, who has been practicing since 1956, after Johnson had a reaction to the halothane anesthetic and suffered a fatal cardiac arrhythmia. ...did not take any formal action as a result,” Reitz said. Court documents in the civil suit filed by Johnson’s family indicate that two expert witnesses, an oral surgeon and an anesthesiologist, supported the contention that Mazorow violated certain standards of care. The suit was settled for $550,000, records show. Under the rules of the dental board, dentists whose patients die or are sent to a hospital while undergoing procedures are required to report the incidents to the board, Reitz said. Malpractice carriers also are required to report to the board payouts of cases involving $25,000 or more. Reitz said the dental board receives notice of about 700 to 1,000 adverse occurrences each year and that only about 10 percent result in any action such as suspension of a license. When asked why no disciplinary action was taken in a case involving a $550,000 civil settlement, Reitz said she could not comment on the facts of the case. However, she said that malpractice carriers for medical professionals are often the ones who decide when lawsuits are settled and for how much money. Records at the dental board are destroyed after a period of about five years, so the documents regarding the death of Johnson are no longer on file at the board and would not be used while considering any possible action in Marissa’s death, Reitz said. “It wouldn’t relate to the care rendered to this patient,” Reitz said. Marissa died Jan. 3 at Rainbow Babies & Children Hospital in Cleveland after being on life support for nearly two weeks after a medical emergency during surgery Dec. 21 to remove two baby teeth and uncover an impacted tooth. The Cuyahoga County Coroner’s office still is investigating, but the tentative cause of Marissa’s death was lack of oxygen to the brain following anesthesia for dental surgery, according to spokesman Powell Caesar. Neither Mazorow nor his attorney, Ronald Mingus, returned phone calls Monday. On Friday, Mingus said that he could not talk about what had happened to Marissa because of patient confidentiality issues. Michael Czack, an attorney representing Marissa’s mother, Amber McEwen, asked Mazorow in a letter to detail what had happened during the girl’s surgery, and Mingus said he planned to answer that letter on behalf of Mazorow. Contact Cindy Leise at 329-7245 or cleise@chroniclet.com. Marissa's insurance company only gave her three choices for an oral surgeon, after checking to see if they were in business, I found that Dr. Griffith said if they were on a specific plan, yes they did. Receptionist was a bit snippy. However, we don't know if he is on this particular plan. A phone call to the other doctor listed, got a recording telling me to check the number and try again. I did, got the same recording. I'm calling on Cigna to cancel it's contract with Dr. Henry Mazorow. I'm also calling on his malpractice insurance to immediately cancel his coverage and send this old man to a home, and I don't mean his nice comfy one either. I want you; to sue. If not you; who?